If you love a chilled Summer soup, it’s time to blend up this inventive gazpacho recipe from Relish: An Adventure in Food, Style, and Everyday Fun ($28), the new cookbook from Daphne Oz (Dr. Oz’s daughter!). 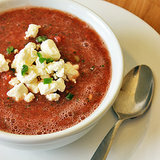 Sweet, spicy, and refreshing, this cooling soup blends a healthy array of hydrating produce like cucumbers and watermelon with fresh herbs and the right hit of spice. 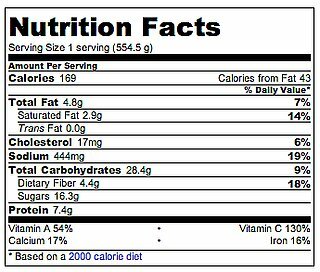 Vitamin-C-rich jalapeños get their heat from the compound capsaicin that also works to boost your endorphin levels. While you might not be smiling once you complete all the chopping this soup requires, the good news is you can prep the produce a one or two days in advance and blend it all together once you’re ready to enjoy. Keep reading to spice up your Summer supper with this gazpacho recipe. This recipe only calls for half a jalapeño, but feel free to kick up the heat to your liking. In a blender or food processor, blend all the ingredients (except the salt and feta) together until the desired consistency is reached. Season to taste with salt. 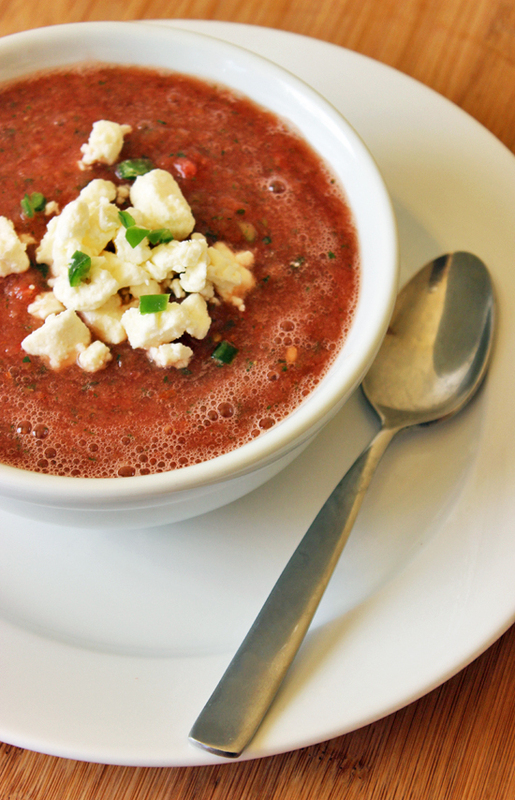 Pour into serving bowls and garnish each with two tablespoons of crumbled feta.